There are thirteen chapters in Genesis are devoted to telling the story of Abraham, and around ten chapters to the story of Jacob. Isaac’s story is told in only two (24&26). However, I don’t want to pass over Isaac in our journey through the Old Testament because Isaac’s life was by no means insignificant. Even down to the present day, the Jewish people speak of “the God of Abraham, Isaac, and Jacob”. Isaac was the child of promise that Abraham had endured in faith for, but being the son of Abraham was not the key to his spiritual success. He carried on the line of God’s plan and was used by God to set apart the next generation, but neither was being the father of Jacob the key to his spiritual success. Isaac himself lived a life of faith, and carved out for himself the place God had predestined for him in history. I believe we find three things in the life of Isaac and in our reading today which are symbolic of spiritual necessities for anyone who desires to live a life of faith. Genesis 26:25, “So (Isaac) built AN ALTAR there, and called upon the name of the Lord, and he pitched HIS TENT there: and there Isaac’s servants dug A WELL”. An ALT AR speaks of DEDICATION and SACRIFICE. Isaac knew all about altars! Remember when just a boy, how in obedience to God, Abraham took him up Mount Moriah and laid him on an altar. Possibly no one knew the cost of full dedication more than Isaac. An altar is where you make your sacrifices to God. What does this mean to us? 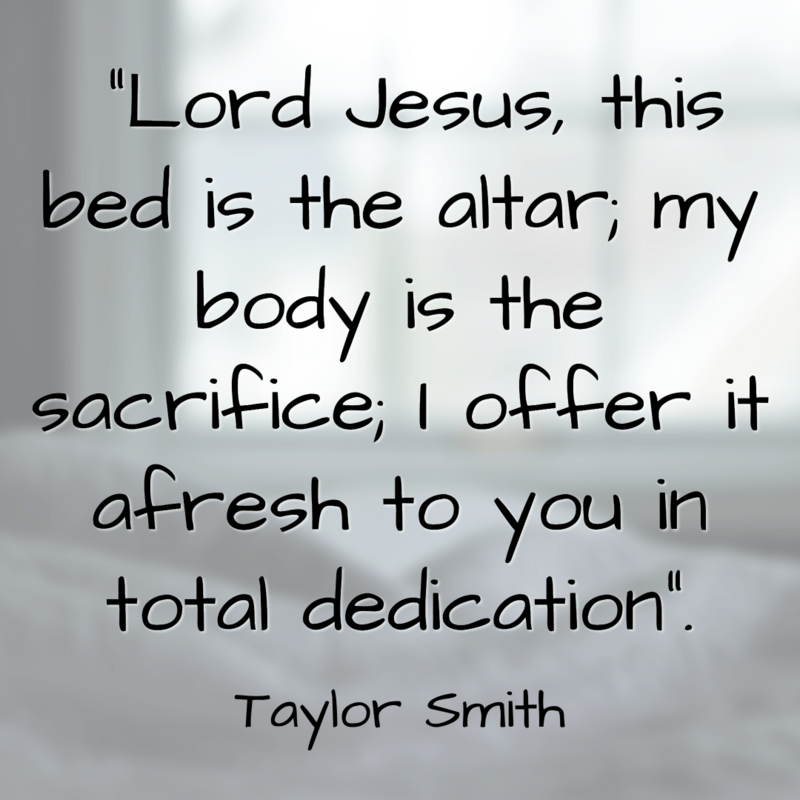 Well, Paul begs us in Romans 12:1 “to present our bodies as living sacrifices to God – holy and acceptable.” Taylor Smith would pray each morning “Lord Jesus, this bed is the altar; my body is the sacrifice; I offer it afresh to you in total dedication”. A TENT speaks of DETACHMENT. Notice, he pitched a tent, he didn’t build a house. As Christians, we are pilgrims passing through this world. We must remain DETACHED from this world and all that it holds dear. Jim Elliot said: “He is no fool who gives what he cannot keep, in order to gain what he cannot lose”. Issac was in Beersheba was because this was where God was speaking, but if God’s presence should move and lead him elsewhere, Isaac was ready to go. Many people ask ‘why didn’t Isaac just give up digging wells, when they kept getting stolen?’ For Isaac, it was a matter of life and death. It was a matter of digging or dying! He had to have water. The same is true concerning God’s Word in our lives. Without it, we will die spiritually! Jesus said in Matthew 4:4, “Man shall not live by bread alone, but by every word that proceeds from the mouth of God”. Dedication – How can you live a life dedicated to God? Detachment – Are there some things that you are holding on to that you need to leave go to follow Jesus? Dependence – What are you trying to do on your own and not trusting God? Father, Thank You for the examples of faith in the Bible. Help us to live a life of dedication, detachment and dependency on You. Thank You for your word which strengths us each day. In Jesus’ name, Amen.